This is my testimony about the efficiency of the Sahaja yoga meditation for me to be more balanced. I am thirty years old. I am inmate in a Finnish jail called Helsingin Vankila. 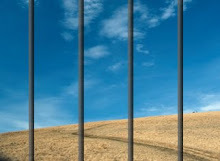 My sentence is : all life in prison . I went to jail in 2001 and the first years were really hard for me. I was in emotional roller coaster. I tried not to show it outside but inside I was feeling terrible. 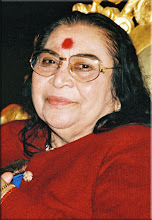 But then in January 2004 when I had lost almost all hope, Sahaja Yoga was introduced in our prison. I immediately felt something wonderful that I never felt before. Something I couldn’t explain in words. I knew that was something that I had been looking for all my life. I stopped smoking immediately, something I couldn’t do before. After that, I started to meditate every day and my lost smile returned inside of me. I am in peace now and want first of all to follow this path the rest of my life. I want also to help as much as possible : other inmates were taught also. I could see they were as much helped as me. So I really wish that every prisoner in the world could have this life changing experience.